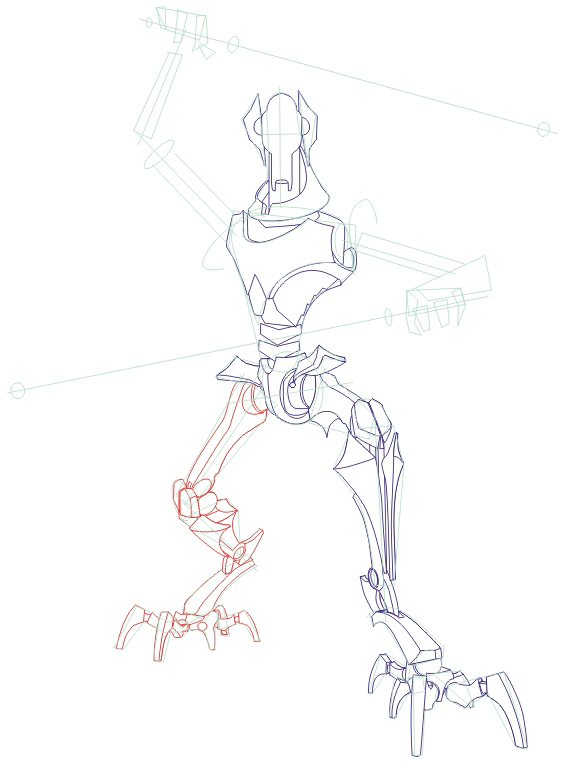 (This is an advanced drawing tutorial). 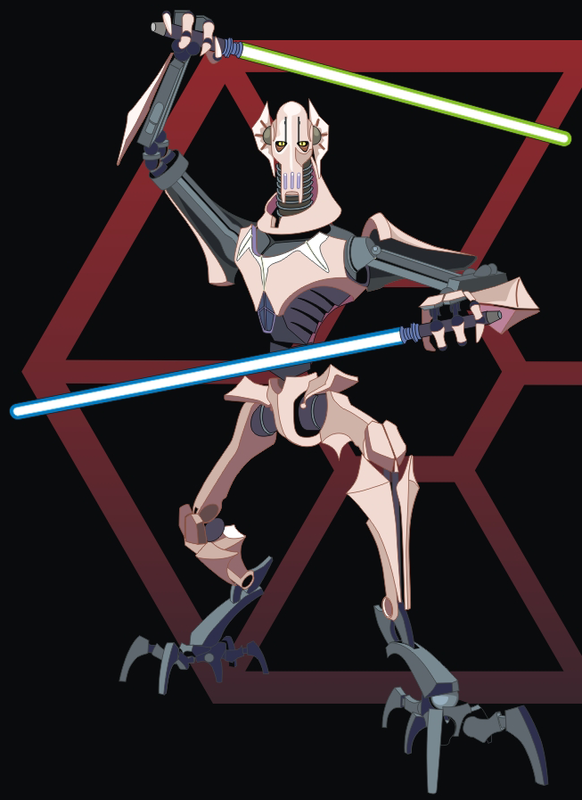 General Grievous was the Cyborg Supreme Commander of the Droid Army for most of the Clone Wars. His real name is Qymaen jai Sheelal. 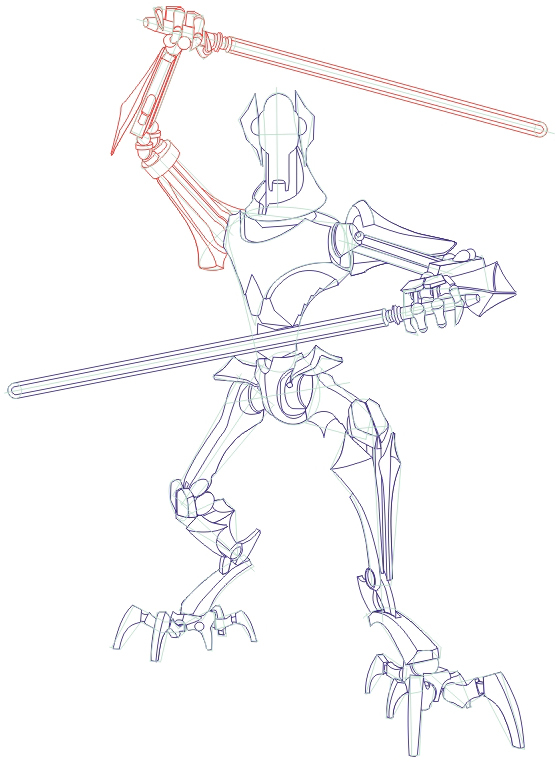 Today I will show you how to draw Grievous with step by step illustrated instructions. Start with head and body contour. 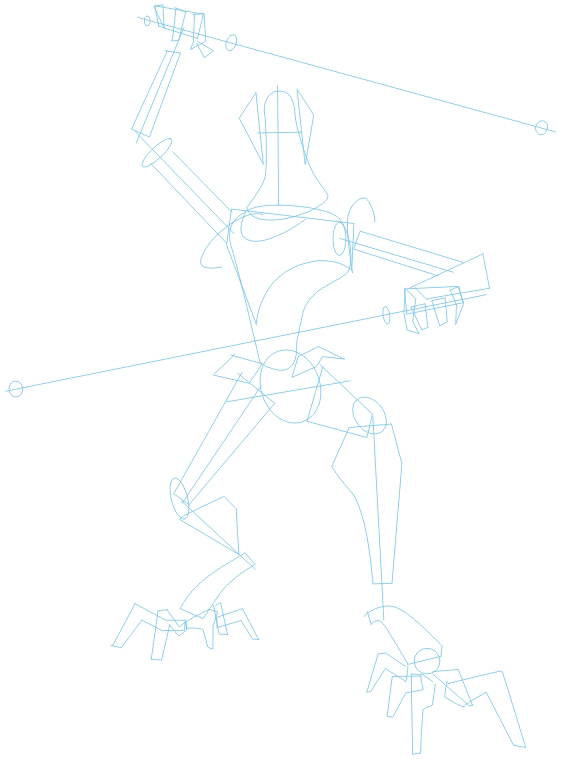 Draw left arm and sword contour. 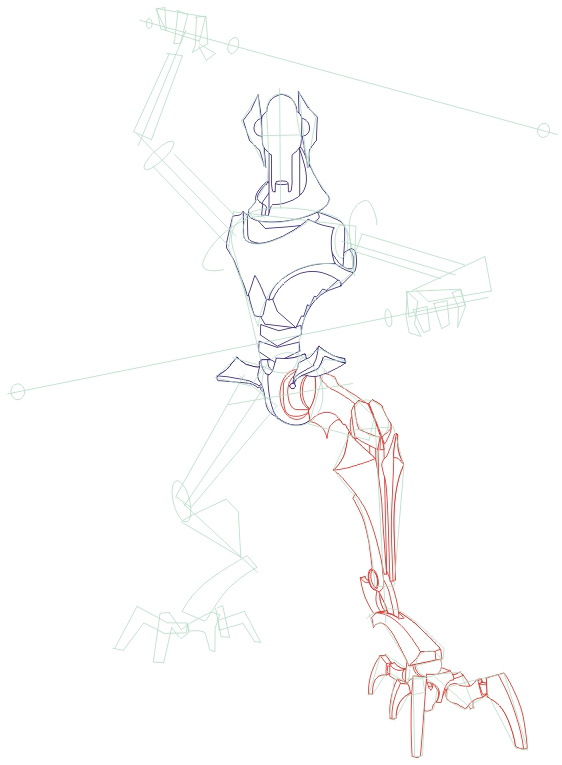 Draw right arm and sword contour. And there it is General Grievous character ready. 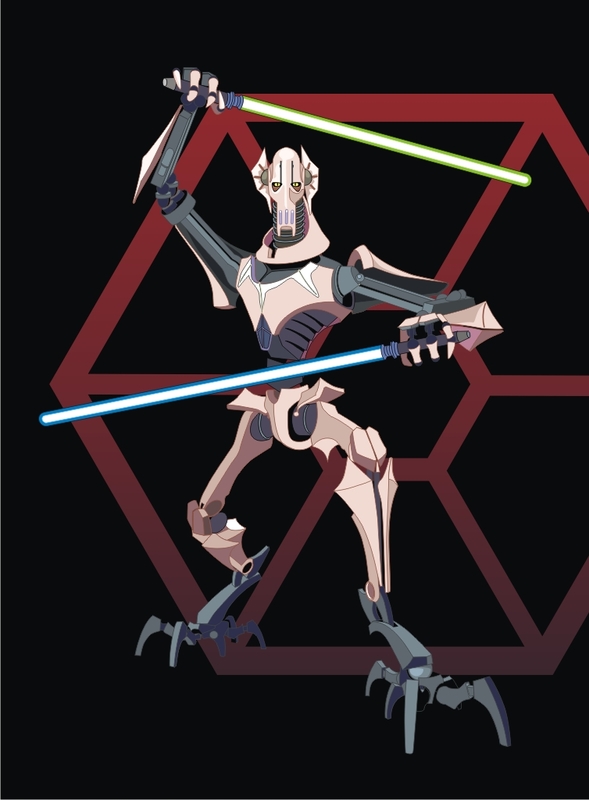 This is what General Grievous looks like colorized. I hope that this drawing tutorial helped you. 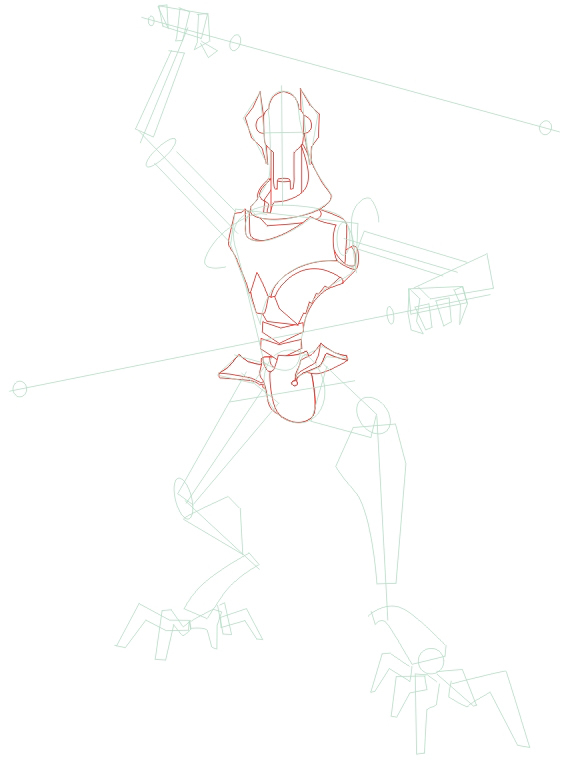 Come back for more Star Wars Drawing Tutorials. 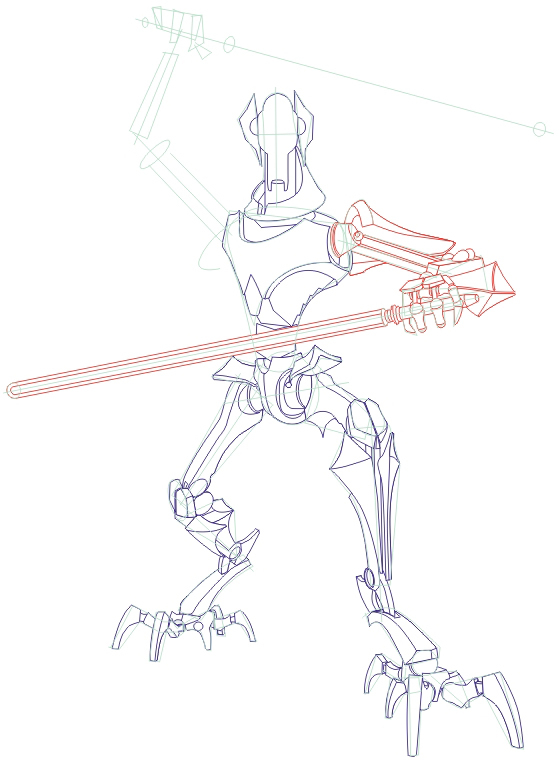 Really super, awesome drawing tutorial though!